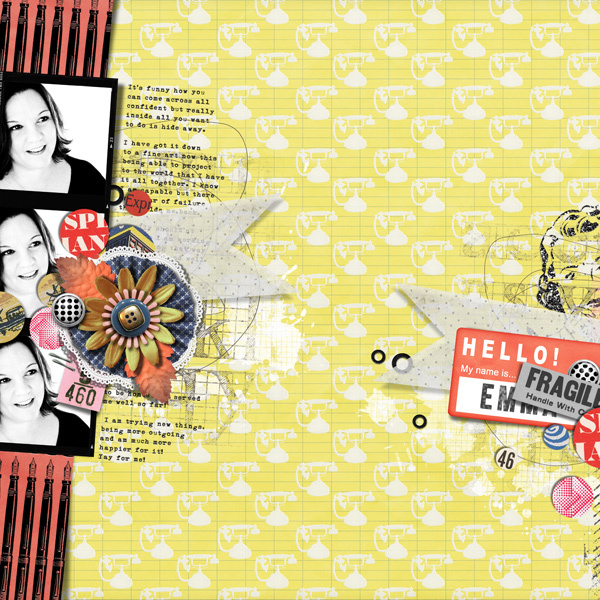 Em Stafrace| Just a Girl with Ideas: SCRAPPING UP A STORM! Wow what a week, I managed to scrap tonnes of pages and finished off a digital kit for next month so I am feeling a bit like I just climbed a mountain and need a big glass of vino to celebrate woohoo! 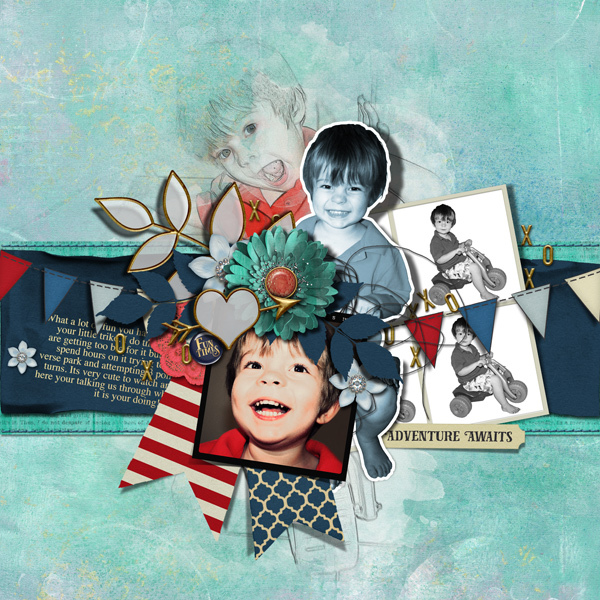 My 3rd digital kit was released over at my store this week and I only managed to scrap one page with it so far oooops... I plan to have a play over the coming few days so will try and share here for you to have a look. 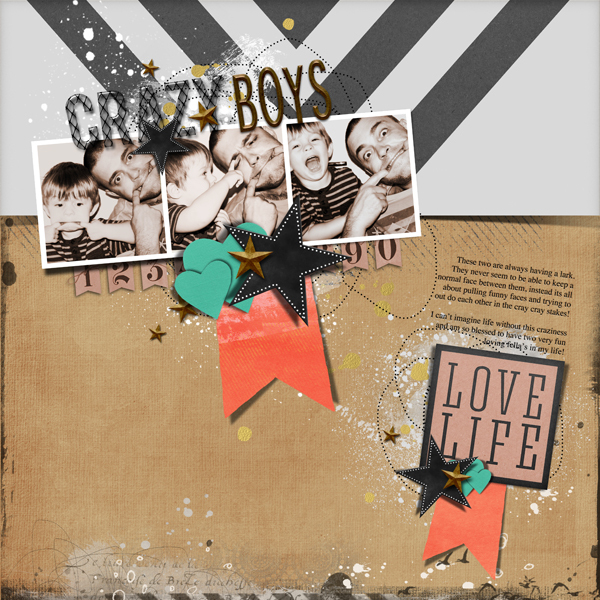 The kit is called Girl Friday you can get it as a collection there is even a freebie pack of fun accordian flowers which aint too shabby ;). 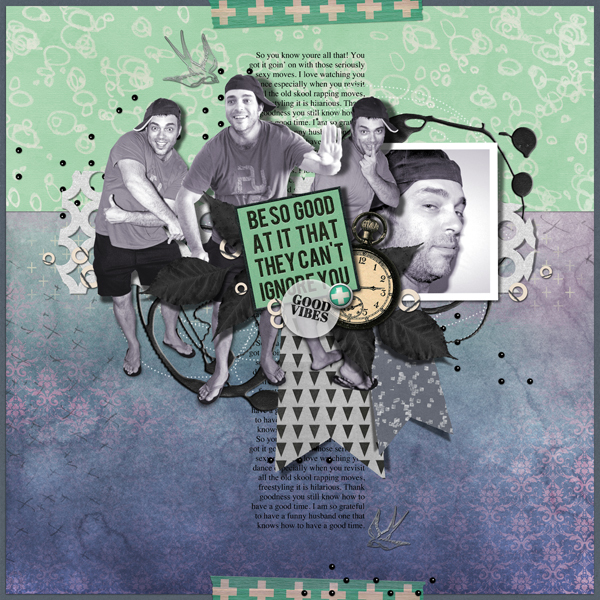 If ya wanna check out more inspiring projects using this month Nifty Pixel release you can see the fab pages by my CT over Nifty Pixel Blog but I thought I'd also share some other pages I did using my latest Page Drafts template pack Story Telling Vol.1. 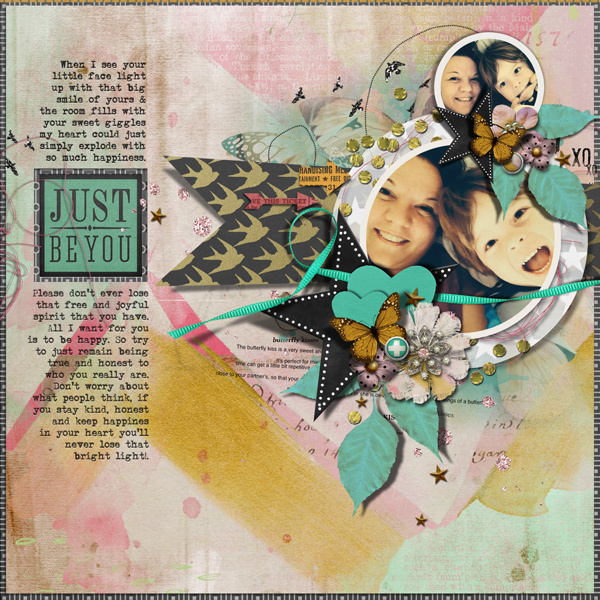 Here is a page I created using last months Digital Kit and Page Draft Template pack releases. Each and every one of these are just fabulous Em! Totally love your style! Don't know if I can ever move into the digi world but I love what you have done with it! wow sweetie, every layout is sooo stunning! I adore your work always!